Children experiencing homelessness or severe poverty are the innocent victims of their families’ struggles. Due to the unaddressed effects of adversity in their lives, most children in crisis enter school with lower cognitive, social-emotional,and language skills than their peers and are ill-prepared to start school. When children start behind, they often stay behind, and children living in poverty are most at risk of struggling in the early years and falling behind their peers academically. The HFF Dowd Education Center provides STEAM (Science, Technology, Engineering, Arts and Math) focused academic programming for children in grades K-8. The Center has both afterschool and summer programs that provide both education and intervention that support Ohio Department of Education standards and local school curriculums. 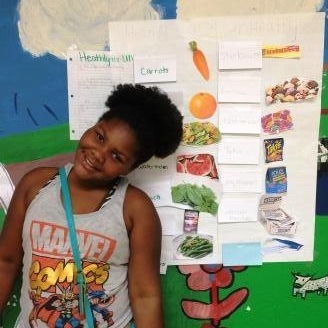 Other activities provided to enhance social skills, self-esteem and overall health include: homemade nutritious meals daily; fitness and recreation activities; field trips; and, presentations from outside agencies that support education and well-being. 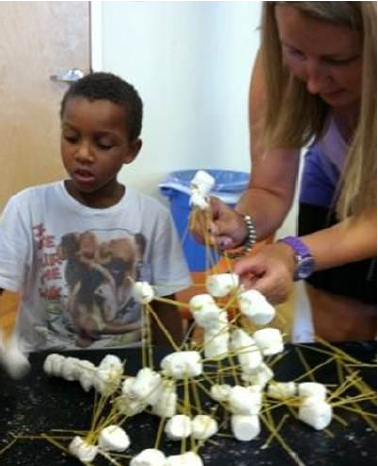 The HFF Dowd Education Center served 81 students in the afterschool program and 74 students in the summer program. Many afterschool students also attend summer and the unique number of students served in 2017 is 107. 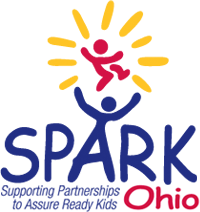 SPARK (Supporting Partnerships to Assure Ready Kids) provides families of 3-5 year-old children with the skills and tools needed to prepare their children to enter kindergarten. Parent Partners conduct monthly home visits, working with parents to become their child’s first teacher. This program is open to children throughout Franklin County. In 2017 the HFF SPARK program served 130 children and their families. Served 107 Pre K-8th grade students during the school year and in the summer. 130 children and families were served in the SPARK program. In addition to quality educational enrichment programming, Family Nights are held six times a year to give parents the opportunity to participate in their child's learning.